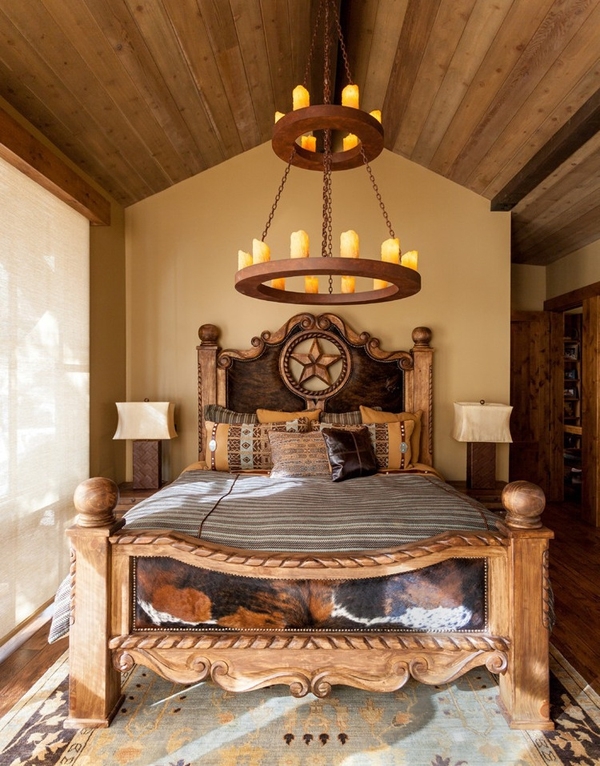 The rustic charm of a wood cabin is enthused with bold generosity and elaborate charm in the 3,500 square foot Austin Cabin. 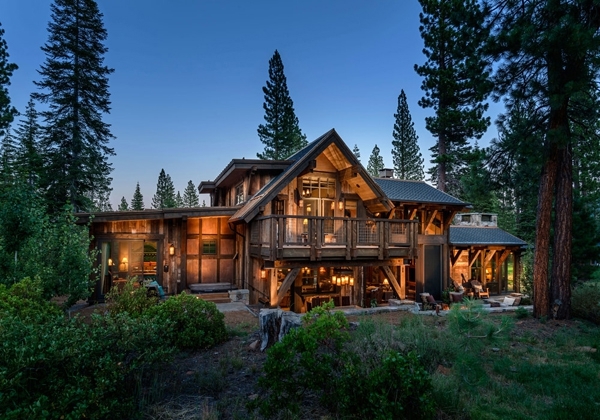 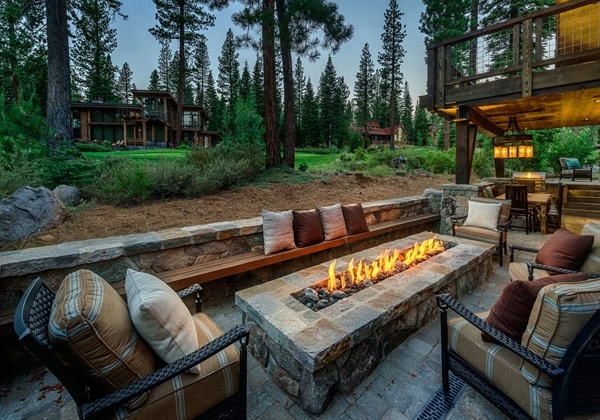 This rustic mountain cabin, located in the Martis Camp development in Truckee, California, has been designed by Walton Architecture along with High Camp Home who designed the interiors. 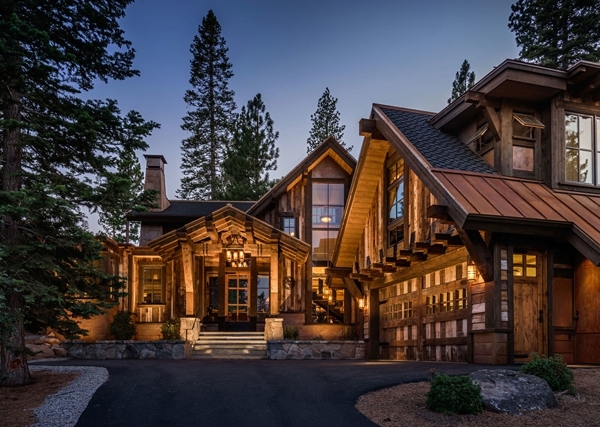 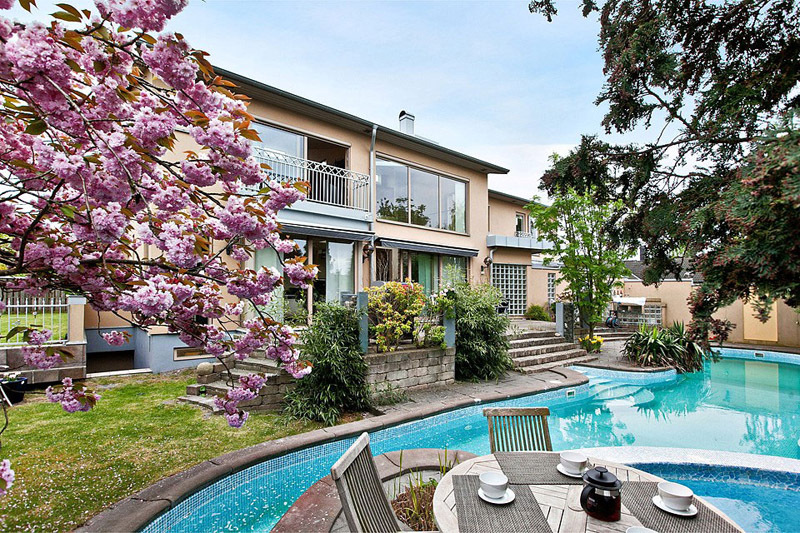 Built to impress, this property is a solid statement of personal style, taste and passion. 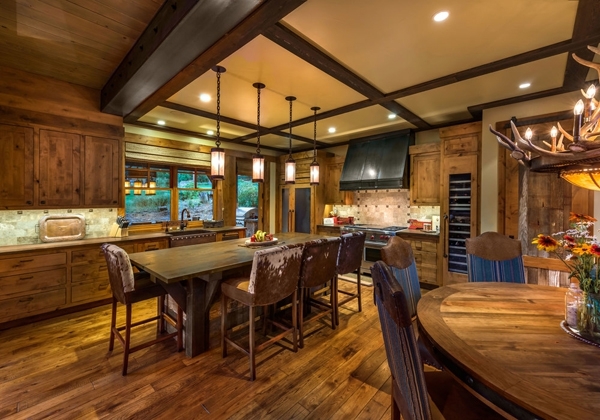 Built out of reclaimed materials, the interiors of this rustic mountain cabin have a natural weathered finish and a timeless appeal. 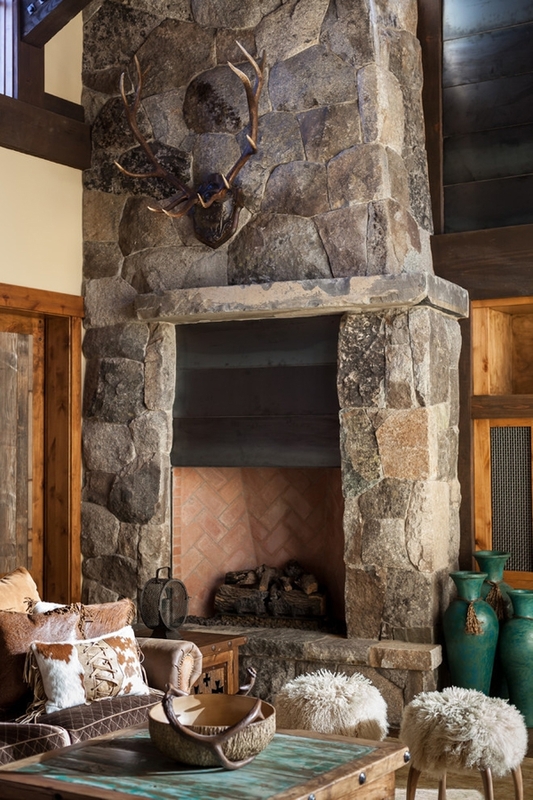 The natural patina lends a distinct feel to the decor that weaves a tapestry of elements, textures and materials into it. 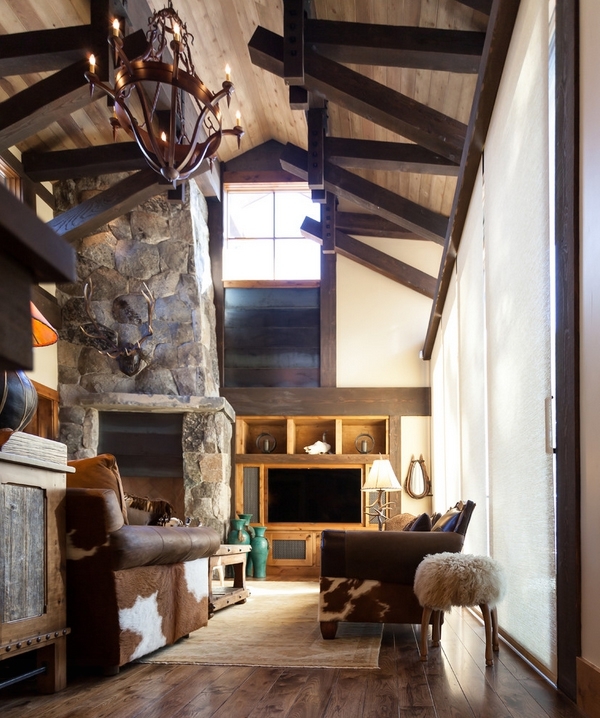 Plush fabrics, fur and leather create a sumptuous affair in generous volumes. 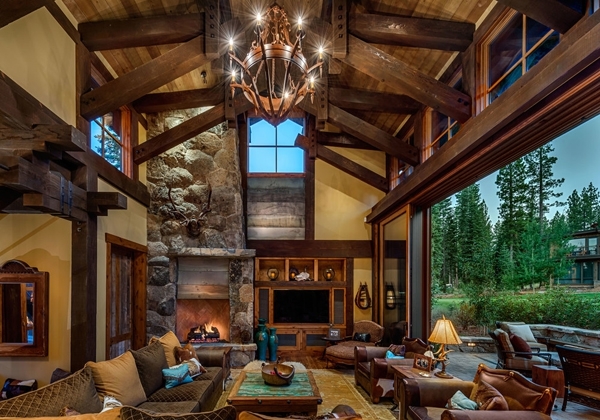 The wooden construction and furnishings lend weight to the space, creating bold, intimate spaces for social and personal engagement, accentuated by warm lighting. 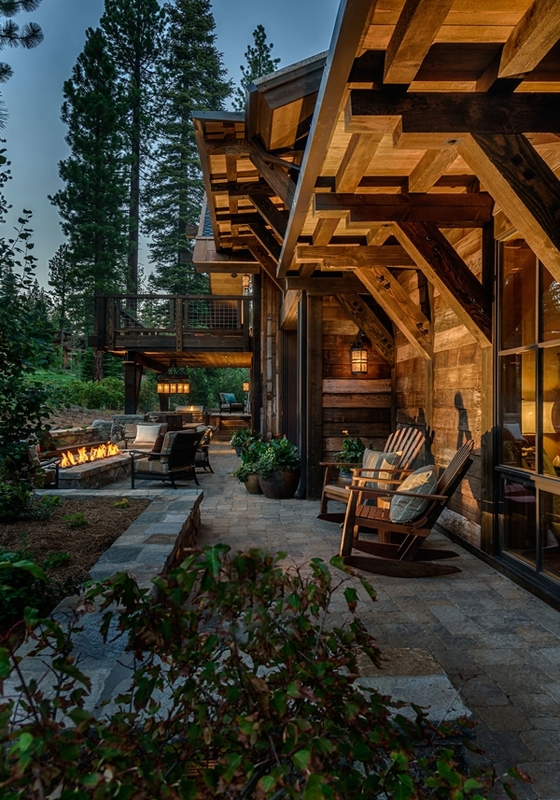 Exaggerated sliding doors open up the social core to the outdoor sitting area with splendid views of the putting greens that lie before it. 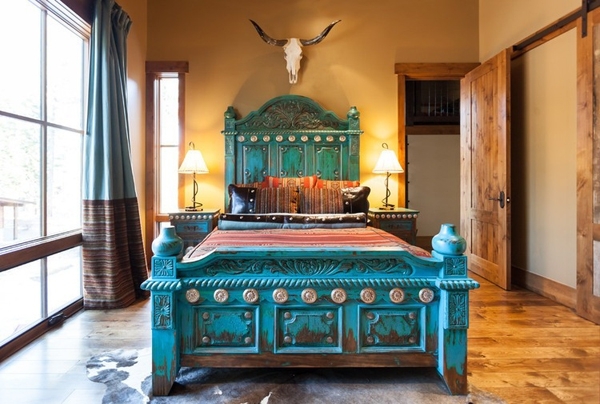 There is careful attention given to every element and every detail – many of which are handcrafted – blending them through motif and material into the design. 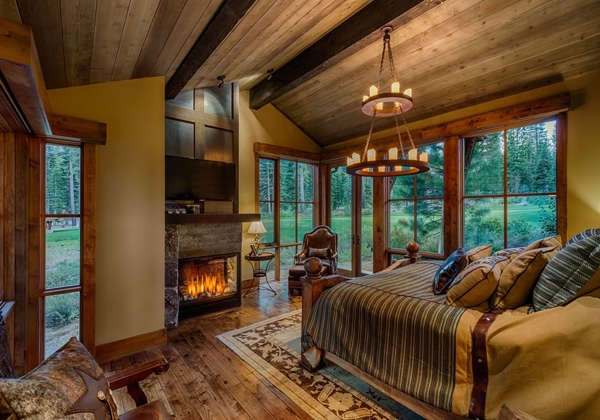 The bedrooms are lighter in detail and furnishing, with the bed emerging as the prime generator of form and function in the room. 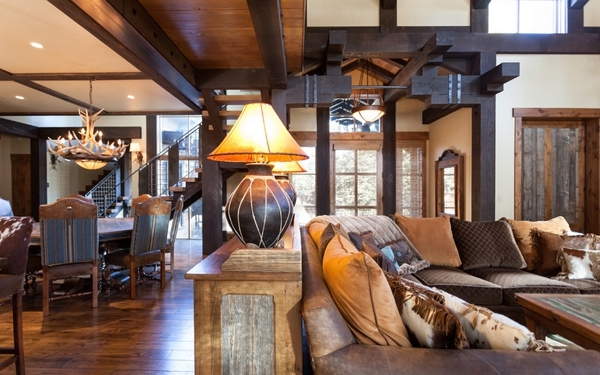 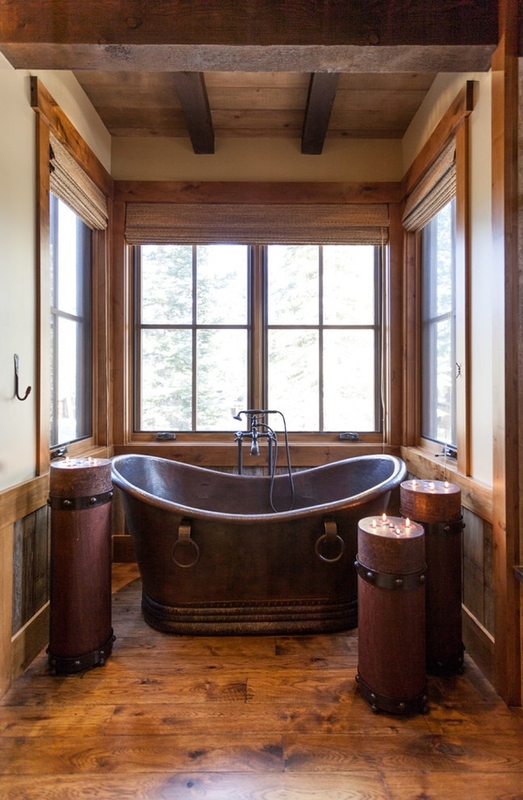 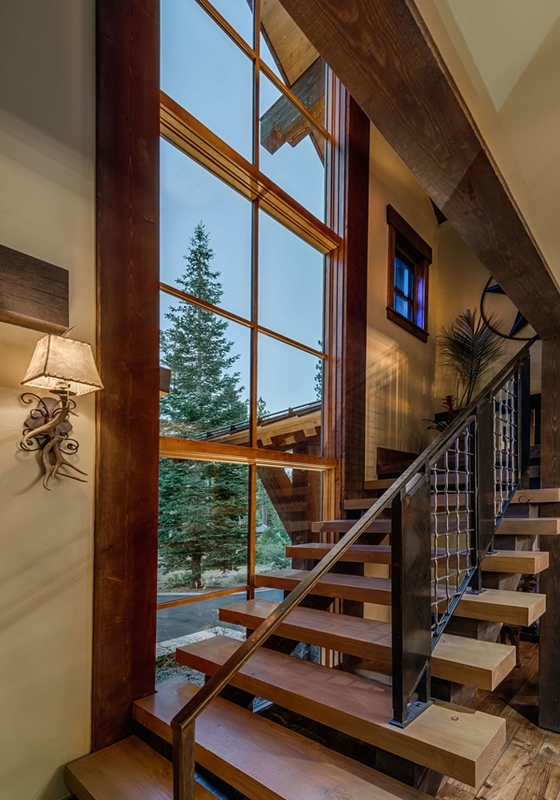 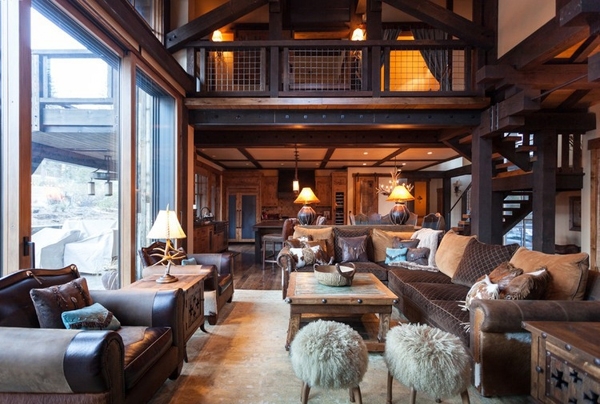 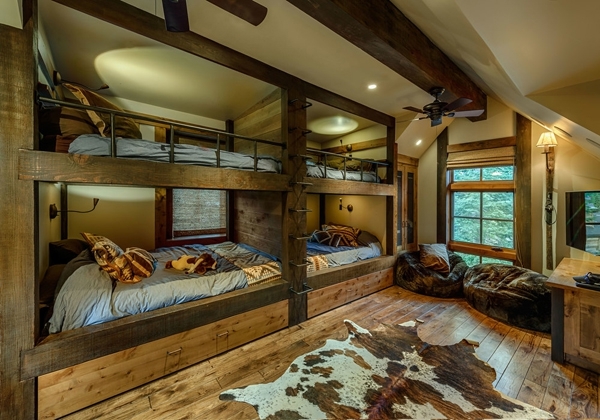 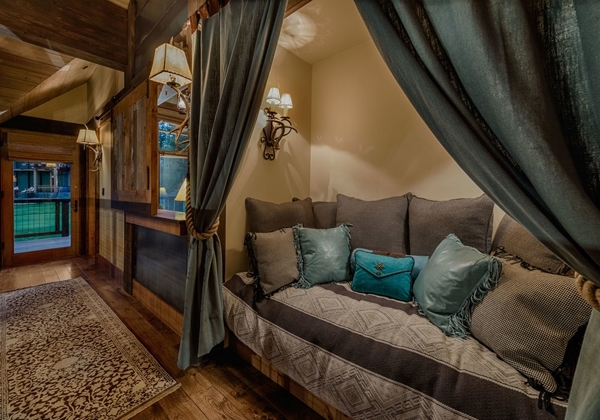 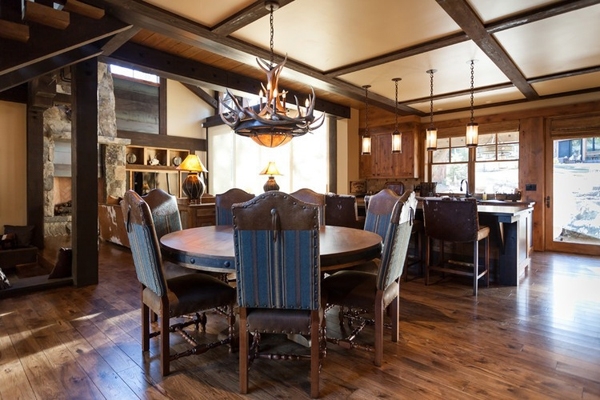 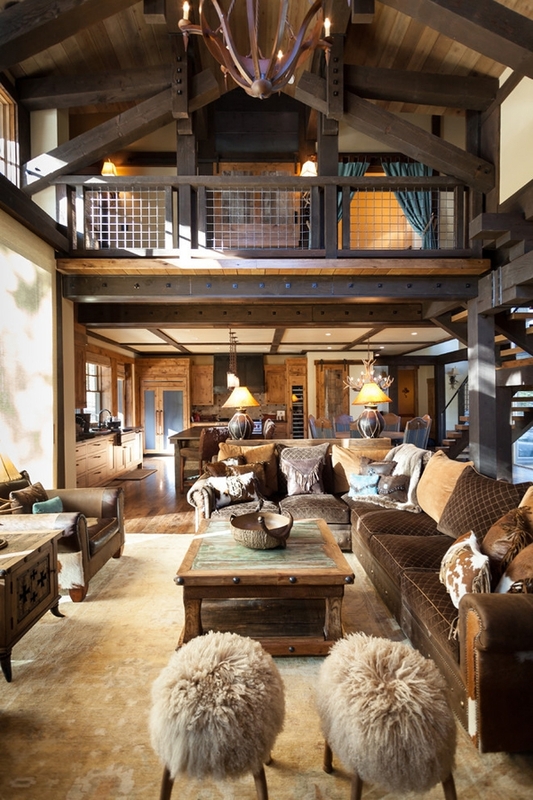 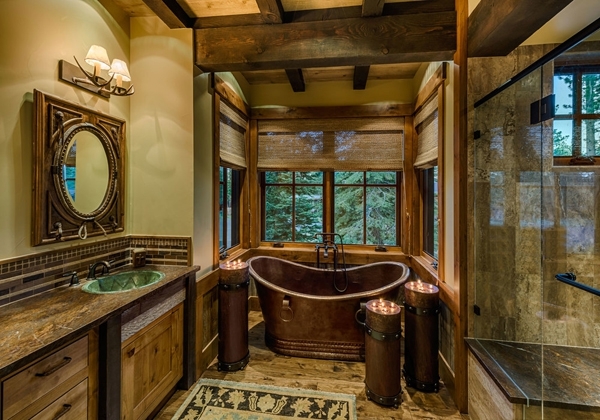 An indulgent composition of Texan proportions and style, this rustic mountain cabin impresses through generous and clear design and detailing.